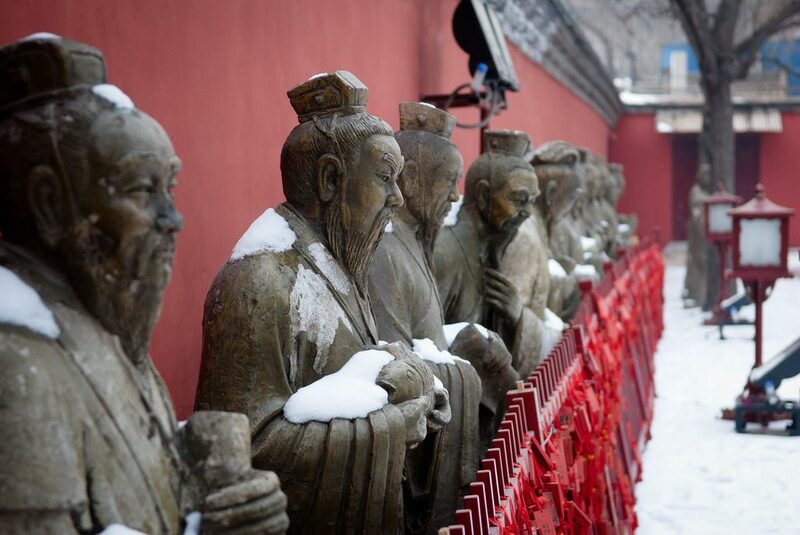 Beijing was established some 3,000 years ago and has served as the capital of China for nine centuries now. Needless to say, Beijing today has a lot to offer the history lover, even one with only 48 hours to spare. 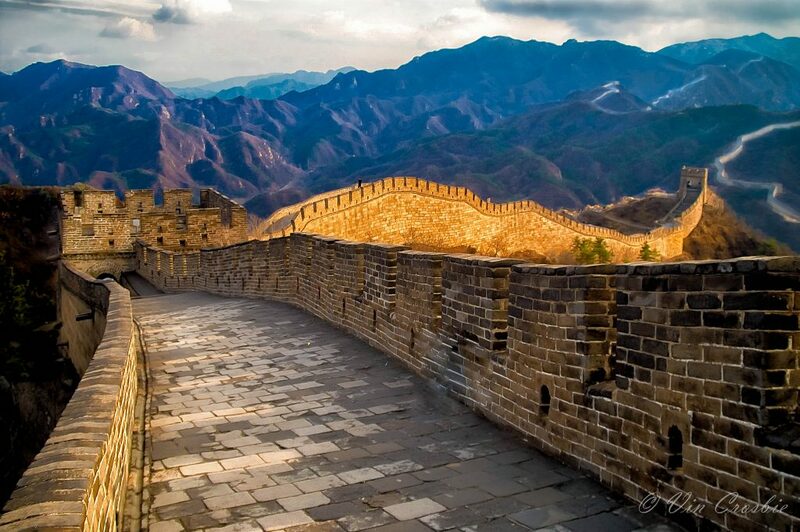 The Great Wall of China is the ultimate historical destination within easy reach of Beijing. A grand defensive wall visible even from space, every brick of the wall is soaked in history. The construction of the Wall began in the 7th century BC, and since then dynasty after dynasty has made changes and improvements to the defence structure. Over time, the functions of the Wall were diversified, and it also served as a border control post and as a transport corridor, facilitating trade with the Middle Kingdom. Given the age of the Wall, most of it has not survived to today, and although some parts have been restored for visitors, the larger part of the Wall is unrestored and withered. Nonetheless, there are a number of sections frequented by tourists and locals all year round, each providing their own level of accessibility and authenticity. The Forbidden City served as the Imperial Palace starting from the Ming dynasty in 1492 till the end of imperial rule in China in 1912. 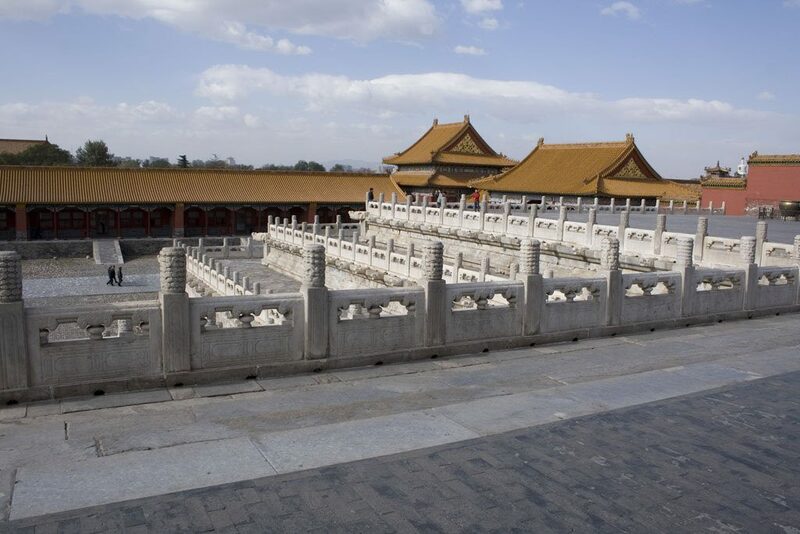 For five centuries, the palace housed 24 emperors and was the political centre of Chinese governance. The extensive complex consists of 980 surviving buildings and a modest 8800-9000 bays of rooms. The Palace, now turned museum, displays a collection of artwork and artefacts from imperial collections. One of the gates of the Forbidden City leads to Tiananmen Square, with a large portrait of Mao Zedong and the words “Long Live the People’s Republic of China” and “Long live the Great Unity of the World’s Peoples” creating an eclectic picture of the new and old China. 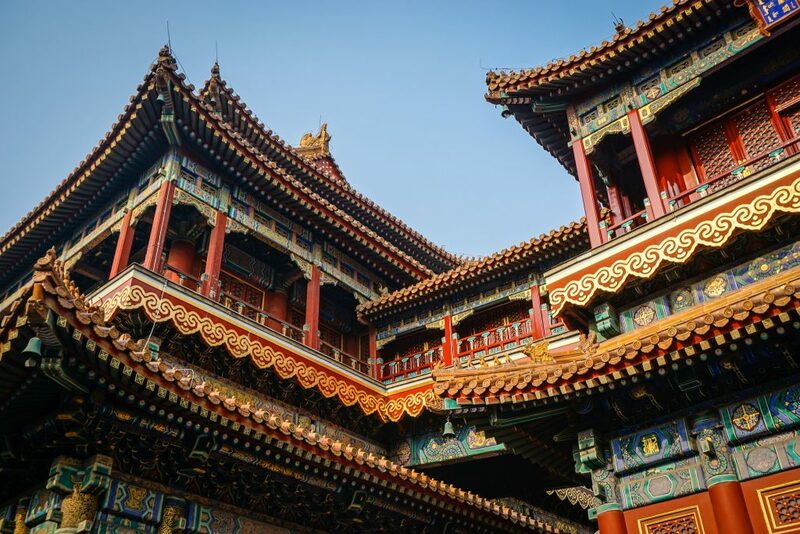 The Drum and Bell Towers, or Gulou and Zhonglou as they would be called in Mandarin, are in the heart of many ancient Chinese cities, including Beijing. They used to fulfil the function of announcing time until the adoption of Western-style clockwork. The area surrounding the two towers is historical in itself. The narrow alleyways, called hutongs, were the simplest type of housing built during the Yuan dynasty and are a maze of twists and turns to explore. Although a number of these old courtyard houses are now either destroyed or modernised, there are a still a few that retain their historical charm. The Emperors of the Qing dynasty were Buddhist adepts, and their religious beliefs transferred into the construction of the Yonghe Lamasery. In the 18th century, it served as a centre for Buddhist scholars coming from Mongolia and Tibet. The Lamasery survived the Cultural Revolution and now houses a number of Tibetan Buddhist artworks and scriptures, the most distinct of them being a 18-metre-tall statue of Maitreya Buddha (the Buddha of the future) carved out of a whole piece of white Sandalwood. A neighbour of the Yonghe Lamasery, the 14th-century temple served as a place to pay respects to Confucius and is second in size only to the temple in Qufu, the hometown of Confucius. Inside, there are stone tablets and steles displaying names of prominent scholars and the names of candidates who passed the Imperial Examination, a competitive civil service exam selecting future members of the bureaucracy. 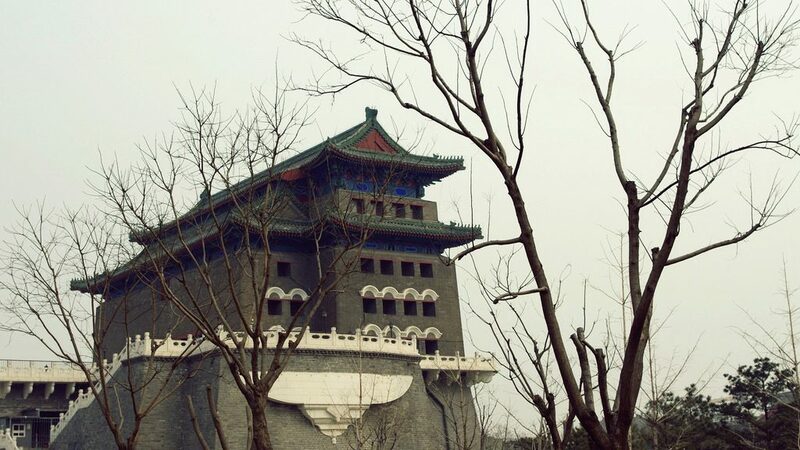 The Old Summer Palace or Yuanming Yuan was the main imperial residence of the emperors from of the Qing dynasty. It is now in ruins, due to an Anglo-French expedition during the Second Opium War (1856-1860) that looted and destroyed the palace. The imperial family was then forced to relocate back to the Forbidden City. 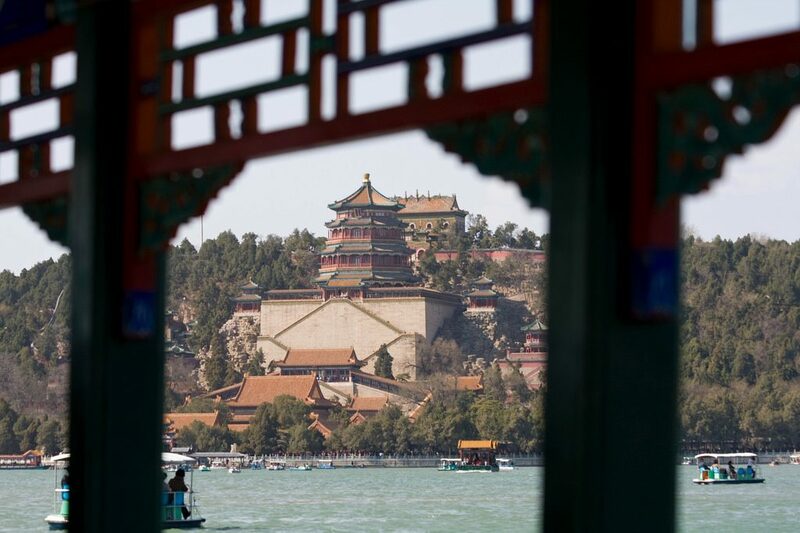 Further northwest is the current Summer Palace that had served as the imperial garden surrounding Kunming Lake. The Palace and gardens are renowned for their architectural splendour and enchanting landscape.